There is one study after another on the poorest of our Aboriginal peoples and all are confronting for the Closing the Gap reports which try to pitch to us improvements. 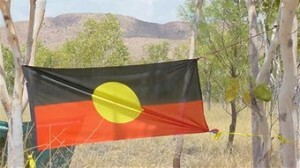 Incarceration, homelessness and suicide rates are all up among Aboriginal peoples and particularly among the 15-year-old to 30 year-old age group but the statistics and findings for those 150,000 poorest Aboriginal peoples standalone, or contained to the remote and regional communities, make a mockery of the Closing the Gap claims. Another recent study describes more myriad ill-health and a rise in mental health conditions that were not prevalent two and three decades among Aboriginal peoples. Once again this report brings into question the Closing the Gap reports and points to governmental neglect. The Kimberley Healthy Adults Project monitored community residents 45 years and older – the study’s duration was 10 years, and the findings were presented at a Kununurra community consultation last week. The Federal Minister’s Dementia Advisory group, Sue Pieters-Hawke and Australia’s Ambassador for Ageing, Noeline Brown spoke at the community consultation. The study found that Aboriginal peoples in the Kimberley who on average barely reach the age of 60, are ageing faster than their non-Aboriginal counterparts. They are more prone to dementia, incontinence, to lower thresholds of pain, to various depressions. The study was limited to the Kimberley but similar studies have reflected the same lack of well-being for the Northern Territory’s Aboriginal peoples where the average lifespan of an Aboriginal adult male is 52 years – this statistic is one of the world’s worst, with only one other sub-Sahelian or Sahelian country registering worse. However Australia is the world’s second wealthiest nation and with the world’s highest median wages. The project’s chief investigator Leon Flicker, a professor of geriatric medicine at the University of Western Australia, said the project was looking for ways forward. “What we are finding is quite high rates of dementia, incontinence, pain and depression. We are explaining everything in that regard but we also launched some guides on these problems and trying to explain what can be done,” said Professor Flicker. He said a management guide is still at a formative stage and therefore his team is seeking more consultation. The project’s Professor Dina LoGuidice said her team had worked to culturally appropriate scales. The Kimberley, like the Northern Territory, endures some of the worst indicators and living conditions for its Aboriginal peoples. In the Kimberley seven per cent of the total population is homeless, with 90 per cent of that comprising Aboriginal peoples. Spates of Aboriginal youth suicide in the Kimberley in recent years have shocked right minded thinking people across the nation. Kimberley Aboriginal Lore and Cultural Centre (KALACC) coordinator Wes Morris has worked alongside hundreds of the Kimberley’s Aboriginal peoples year in year out and particularly through the Yiriman project which seeks to engage at-risk individuals through cultural identity. He said the assimilationist attacks on cultural identity go to the heart of whether there is well-being – the loss of culture is indisputably linked to a loss of self-esteem and self-worth. People disengage and dissociate from normative life-settings. He said the 30 year research on First Nation peoples by well-known Canadian Professor Michael Chandler supported that erosion of cultural identity was directly linked to the erosion of ones well-being. He said the way forward is to include the funding of Aboriginal controlled and Aboriginal serviced programs, like the Yiriman project, which directly engages Aboriginal peoples inclusive of their cultural identity. Till as such time then Aboriginal peoples will languish in hardship, ageing faster than non-Aboriginal peoples, and Closing the Gap indicators will continue to rate poorly in the real world. The Kimberley’s Aged and Community Service manager said her agency has 60 clients in remote Aboriginal communities, from Bidyadanga to Kalumburu, and that indeed they need a high level of “aged care” from an “early age”. She said she has clients as young as 45 years in need of “aged care”. Ms Crawford said “dementia is very, very common in the Kimberley.” The Kimberley’s total population is 42,000, with Aboriginal peoples comprising 14,000. The project study by the geriatric researchers visited a suite of Kimberley communities during their ten years – Warmun, Wiramanu, Mowanjum, Janjuwa, Looma and Adyaloon. Professor LoGuidice said memory and thinking had suffered under the progeria-like (premature ageing). Professor Flicker said that “Aboriginal people over the age of 45 years verse Australians over the age of 70 (are) having a similar percentage proportion of problems.” He said the symptom rates occurred 30 to 50 per cent more often in remote communities than in metropolises. In addition to dementia and high rates of ageing, the project team found obesity and diabetes continue as serious issues, and that they may increase ageing. “We know that people you have diabetes, or who are overweight, or have high blood pressure are more prone to getting these conditions,” said Professor Flicker. Professor Flicker said remote communities need better management of diabetes, renal disease, heart disease, but indeed this is an indictment of State and Federal Governments. In terms of addressing ageing Professor Flicker said he is hoping that by bridging the cultural gap and barriers that they can improve the health of remote living peoples. But in inadvertently reinforcing KALACC coordinator Wes Morris’ call for attention to be paid to Aboriginal cultural identity and the right for Aboriginal control of services, Professor LoGuidice made some interesting comments. They have lived true to their Country and to their identities, having kept active within cultural settings and therefore have activated healthy living practices. They are yet to be pushed off their homelands because governments want to industrialise or mine their Country or because it is less costly for governments to build infrastructure in towns rather than in a number of communities.